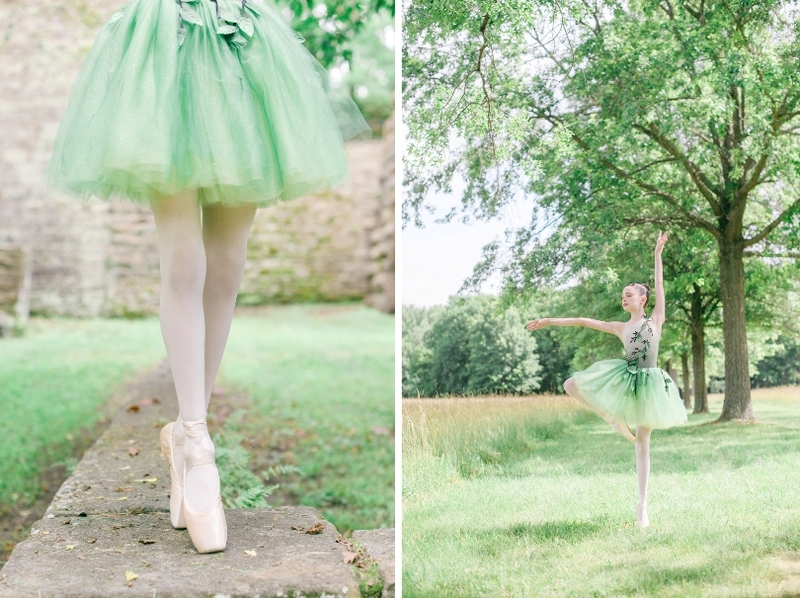 When I first began talking with Emma’s mom about their family pictures, she mentioned that Emma went up on pointe this year and would love to photograph her at this stage in dance. Dance and ballet hold a special place in my heart as I danced for 17 years. It was probably the first form of art I fell in love with. Photographing other dancers are some of my favorite photo sessions. I was so excited about this session! 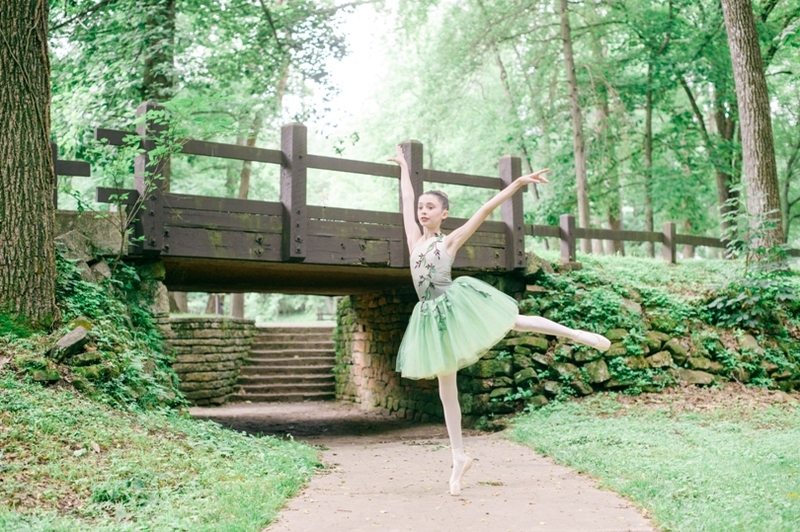 We photographed this tiny ballerina outdoors for a more natural environment. She was amazing, beautiful, and graceful. Even though she hasn’t been on pointe very long, she mastered every pose. It was so fun to work with her; all the happy memories I have of dancing came rushing back. 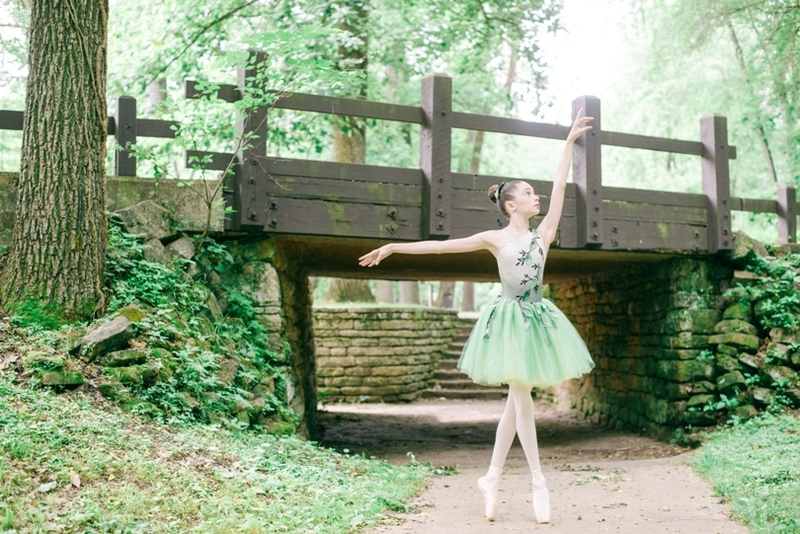 We photographed her “leafy green” costume at Meramec Springs in St. James and her “Black Swan” costume at one of my favorite downtown spots in St. James.